That is my favorite poem about winter, about snow. I love it. My father recited it over and over when I was a child. It does not necessarily pertain to the below photo at all; there are no woods and no village. Only a desolate beach. And one person walking in the blowing snow. Blowing away so fast. 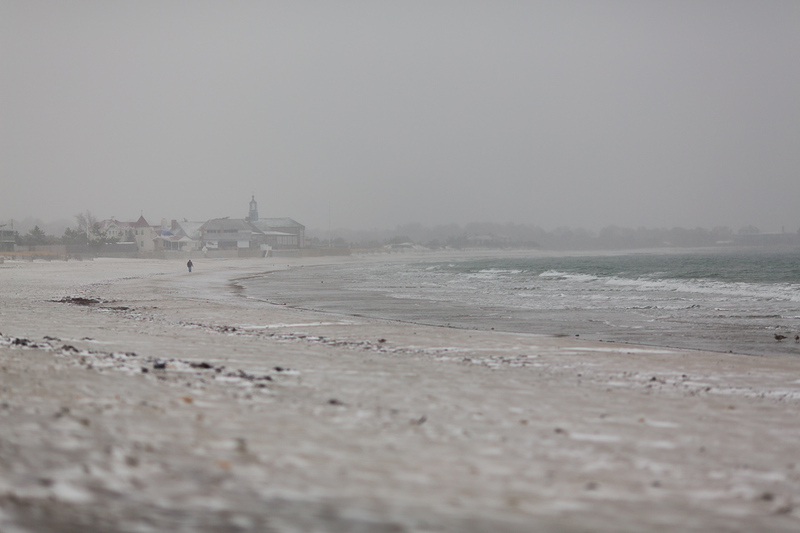 The beaches never show much evidence of snowstorms because the wind blows almost all the snow away. But I like to think that Robert Frost's horse would stop on my beach on a snowy evening.